Born in Berkhamsted, Hertfordshire on October 2nd, 1904, Graham Greene was sensitive and shy in his of youth. He never showed much interest in sports and would stay away from school to read stories by RM Ballantyne or Rider Haggard. Greene’s writings show the recurring themes of betrayal and treachery that stem from the troubled school days where he would often be tormented by the son of the headmaster. Greene had also attempted suicide on several occasions and wrote a letter to his parents saying that he did not want to go back to school. 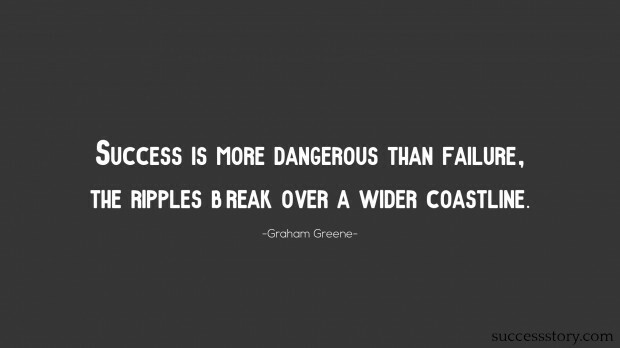 "Success is more dangerous than failure, the ripples break over a wider coastline"